God Bless the Ft.Lauderdale Tea Party for turning out, speaking out and standing up to the onslaught of evil which is the Sharia. I am personally DONE with the Hilton hotel and their chains for continuing to sponsor these types of fundraisers and bowing to or promulgating radical Islam. The Hilton franchise(which also owns Hampton, Doubletree and Embassy Suites) many don't know is owned by a private equity firm called Blackstone. Blackstone was founded by Peter Peterson who was a Secretary of Commerce under Nixon and CHAIRMAN of the Council on Foreign Relations. The other owner, Joseph Schwarzman another billionaire elitist went to Yale the same time as George Bush and also was a member of the secretive Skull & Bones Society. Schwarzman and Peterson met and worked together at Lehman Brothers. Don't miss the video, some good stuff. -W.E. Fellow counter-jihadists, Tom Trento and Alan Korman of ’The United West‘ got in the faces of a Muslim group called Islamic Relief, who recently held a fundraiser for Hamas at the Hilton Hotel. Non-Muslims who tried to purchase tickets to the event were rudely turned away. 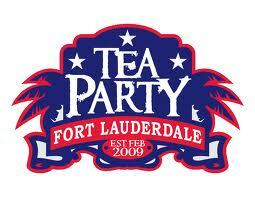 Kudos to Tom and Alan as well as the Ft. Lauderdale Tea Party members for exposing the bigotry and hatred of Islam. On June 17, 2012, the Islamic Relief USA partners with Islamic Relief Worldwide sponsored a Fundraiser for Palestine/Hamas. But when at least a dozen American Christians and Jews tried to buy tickets, they were denied entry and were bullied and called names by the Muslims there. It was reported that the Hilton hotel was not happy that Americans were milling around the lobby and complaining about the terrorist event they were hosting on their property. There was some kind of altercation in the parking lot between Americans and Muslims, which police broke up. Evidently, there were more Tea Partiers there than fundraisers.